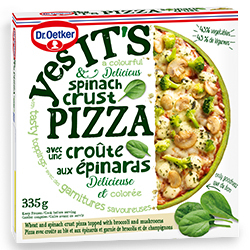 Mail-In Rebate Offer To Save On Dr. Oetker Yes It's Pizza Products For $1 ! Enjoy this free canadian Dr. Oetker Yes It’s Pizza mail in rebate offered by Save.CA to save $1 on Dr. Oetker Yes It’s Pizza product. How to get this Dr. Oetker Yes It’s Pizza Mail In Rebate ? Complete the form and submit all required information to the mentionned adress. Remember to share this offer with your friends and to join us on our social networks to be informed of the newest deals, discounts and coupons in Canada.